PCNation, a leading provider of Microsoft cloud, data and mobility solutions, announced today that it has achieved Microsoft Gold Certified Partner status with a competency in Small and Midmarket Cloud Solutions. We are pleased to be among an exclusive group of Microsoft cloud experts and plan to continue to invest in the development of additional product offerings including advanced engineering expertise in this fast-growing market. 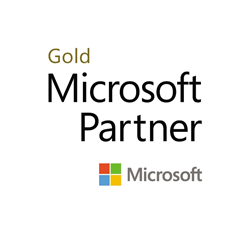 Gold Competency is Microsoft’s highest level of partner certification and is only awarded to the top one percent of Microsoft partners. Earning the Microsoft Small and Midmarket Cloud Solutions competency certifies that a partner has successfully demonstrated best-in-class Microsoft cloud solution expertise through rigorous testing and an extensive history of successful implementations. “Microsoft solutions have always been a part of our expansive portfolio. It was an important next step to become Gold certified in order to continue to meet our client’s increasing interest in secure and scalable cloud-based solutions. We are pleased to be among an exclusive group of Microsoft cloud experts and plan to continue to invest in the development of additional product offerings including advanced engineering expertise in this fast-growing market,” says Medwin Dayan, President, PCNation. Microsoft Office 365 is Microsoft’s fastest growing commercial product ever. The Small and Midmarket Solutions competency enables PCNation to satisfy the demand from the small and midmarket customer marketplace for cloud and hybrid solutions on O365. Microsoft's Partner Network helps partners strengthen their capabilities and showcase leadership in the marketplace with the latest cloud technologies. PCNation continues its 22-year standard of excellence as a leading value-added reseller (VAR) of a wide range of technology solutions including data center, cloud, managed services, mobility, and more. Since 1996, PCNation has provided over 100,000 corporate, educational and government clientele with technology solutions that enable organizations to meet their complex business needs.